Happy Freyja’s Day again, everybody! 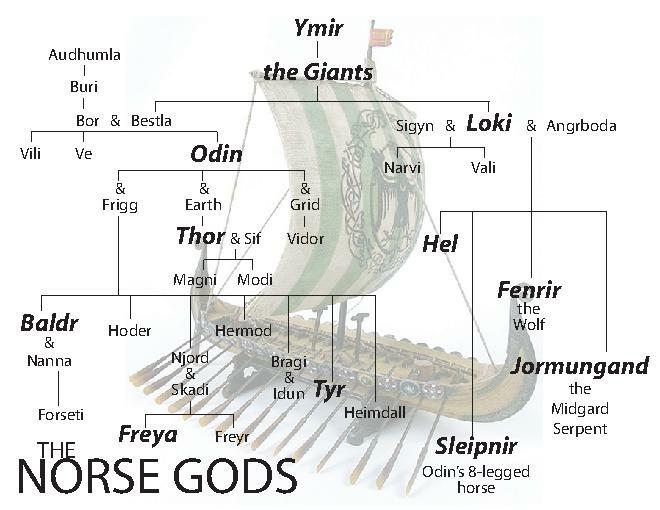 Time for this week’s Norse 101 post! Many of my previous posts have been somewhat God-heavy, so this week, I decided to give some of the Goddesses a little air time. Today, I’ll introduce you to three: Frigga, Sif, and Sigyn. Frigga (sometimes spelled Frigg) is the wife of Odin. 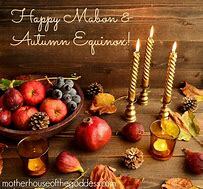 She is the All-Mother, and an Aesir Goddess of maternal and marital love, divination, managing the household, and spinning or weaving. Her name translates to “Beloved” and She is known to be tender and nurturing. She is a powerful seer, able to know the future. She once had a vision about her son Baldr’s death, and took every precaution to ensure that no harm would come to Him. She asked every being, every plant, every rock, every weapon to do Him no harm. The only plant She didn’t ask was the mistletoe. Ultimately it was a dart made of mistletoe that killed Him, but I’ll talk about that more when I introduce Baldr. Some scholars conclude that Frigga and Freyja are different aspects or versions of the same Goddess. 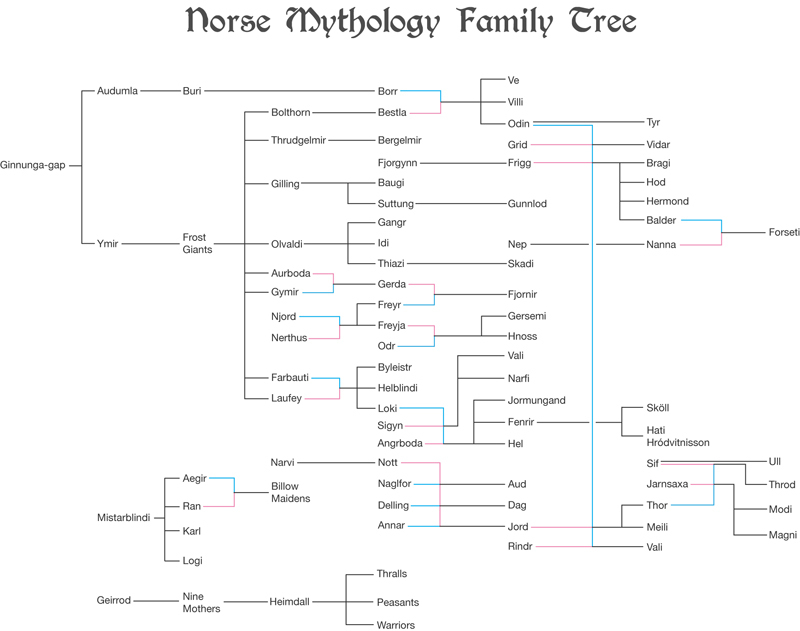 I can see how that might make some sense, since Freyja is a Goddess of love and beauty, and Frigg is a Goddess of marriage, motherhood, and the home. I see Them as two separate and distinct Goddesses, though. Sif is an Aesir Goddess that’s barely mentioned in mythology. She’s a wife of Thor and a Goddess of grain, the harvest, and the fertility of the Earth. Last week I wrote about how Thor has a role in crop abundance. Well, His marriage to Sif reflects that as well. The sky married the Earth and together They bring fertility to the land. Sif is known to have the most beautiful golden hair, and one story in the mythology tells us about how She lost it, but gained something even better. Her hair was famously gorgeous, but one day, Loki cut it all off while She was sleeping. Thor was enraged and demanded that Loki fix it. So, Loki set out to find something to “fix it.” His solution was to have Dwarves create new hair for Her out of spun gold. The new hair was just as beautiful as Her original hair, and as a consolation, Loki also presented Thor with His hammer, Mjolnir. Sigyn is a wife of Loki. Not much is written about Her, although She is considered to be one of the Aesir. Together, She and Loki have two sons, but Their story takes a tragic turn. As punishment for His role in Baldr’s death, Loki is bound in a cave with a snake hanging over His head. (The chain used to restrain Him is made from the entrails of one of His and Sigyn’s sons. The other son was transformed into a wolf, who then killed his brother to create that entrail-chain.) The snake drips poison onto Loki’s face, which is incredibly painful. Sigyn stayed by His side, holding a bowl above His head to catch the dripping venom. She isn’t officially assigned as a Goddess of compassion and loyalty, but She certainly is seen as one. She stayed by Her husband’s side and kept Him as comfortable as She could, despite Her own grief. If that doesn’t show love and loyalty for family, I don’t what would. That’s it for today, lovelies. As always, if you have any questions, feel free to ask. And if you’d like for me to write about a God or Goddess in particular, and I haven’t yet, let me know. Yes, I take requests! See you next week!